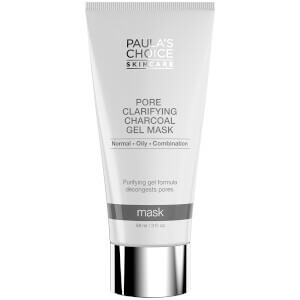 Shrink your pores. Smooth your wrinkles. Reveal a youthful radiant glow. There’s not much a daily leave-on exfoliant can’t do when it comes to achieving beautiful, healthy skin. 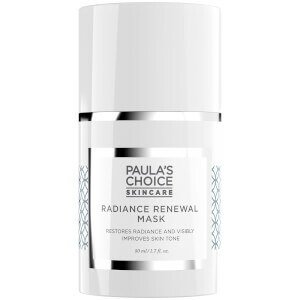 Whether you want to smooth wrinkles, prevent breakouts or simply have the best skin of your life, Paula's Choice Skincare has you covered. Discover the range for your skin now. This specialised hyaluronic acid serum anti-ageing booster plumps fine lines, prevents moisture loss and repairs sun damage for visibly healthier skin. Add just a few drops to your favourite moisturiser and prepare to be amazed. This range works overtime to correct any discolouration, fight wrinkles and preserves skins moisture balance. This Resist range helps stimulate collagen production in skin whilst unclogging pores and calming skin. Need a little extra something to perfect your skin routine? Have a browse through these products. The CLEAR System is for those with acne (of any age) or prevalent breakouts. Using gentle ingredients, this fast-acting, clinically proven range of products kills acne causing bacteria and reduces redness without overdrying skin. Smooth, balance and shrink your pores with the Skin Balancing range. Made especially for combination or oily skin types, this anti-ageing range can help mattify skin AND even out skin texture. Combination skin got you down? Discover the Hydralight Collection - this range will keep your skin looking silky smooth without leaving your skin too oily/dry. Liquid, Gel, Lotion, AHA or BHA – every regime needs an exfoliant. Used after cleansing & toning, these products keep skin in tip top shape by shrinking pores, preventing breakouts and calming any redness. Dry skin sufferers – let us introduce you to the Skin Recovery Collection. Created with loads of antioxidants, ceramides, and peptides this series helps restore and maintain radiant skin that not only looks younger, but acts it. Improve dry, dull skin with the Moisture Boost Collection. Formulated with plant oils, emollients and antioxidants. Leaves skin feeling silky soft and smooth without feeling greasy. Don’t worry boys – you’re not left out! PC4Men provides a complete set of products for all men’s daily skincare needs. Wash, shave, soothe and protect skin with this irritant-free range which can be used on any skin-type (even sensitive). Designed for complex skin conditions, this range of products is designed with ingredients not normally found in standard skincare. Treat your skin by trying this Soothing Body Butter. 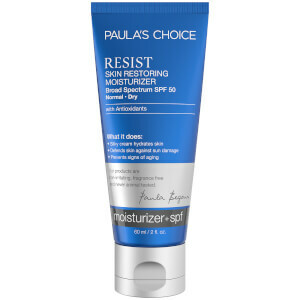 Paula’s Choice isn’t just about skin. From treating such concerns as chapped lips & bacne to providing you with the perfect sun cream and fake tan – it’s all here! 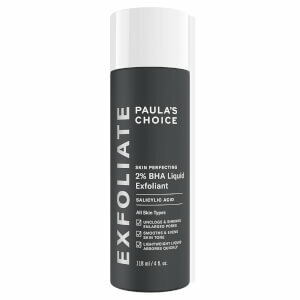 What makes Paula’s Choice wonderfully unique is that the brand was created after a lady - Paula Begoun - spotted a gap in the beauty industry market. Frustrated with her own skin problems she had suffered for years and years, she was always seeking scientific reason for each ingredient that featured in a product. It was this that then set Paula Begoun and her team of experts off on a mission to create their own skincare line; Paula’s Choice. The skincare line launched in 1995, where their commitment to quality, effective ingredients is still the driving force in creating the brand today. They only use ingredients proven by science to correct skin concerns, including acne and wrinkles. Each product is clinically proven to be non-irritating, 100% fragrance-free, dye-free and never tested on animals. 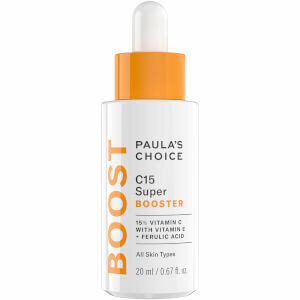 Paula's Choice has taken the guesswork out of building a skincare routine. Using only trusted and proven ingredients that target those common skincare woes (such as blemishes and premature aging) it is their mission to take care of your skin. Addressing a skin concern with a complementing skincare product is what Paula’s Choice was built around, and is much-loved for today. Retinol is a very effective ingredient in many anti-aging skincare products today, but it can be met with some apprehension for certain customers who do not think it will work with their skin. 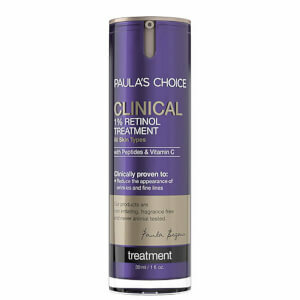 Paula’s Choice offer multiple formulas containing Retinol for you to experience. The Resist Hyaluronic Acid Booster is brilliant for immediate results when it comes to plumper looking skin and smooth lines. 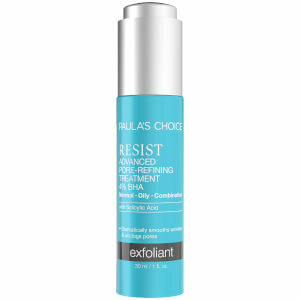 The Resist 1% Retinol Booster is a powerful Retinol concentrate that transforms your favorite moisturizer or serum, allowing you to customize the strength you need to treat multiple signs of aging or an uneven skin tone.